This home page represents some fifty years of reflections upon Scripture and Fathers of the Church with special attention to Origen, St. Gregory of Nyssa and St. Bernard of Clairvaux, three Christian authors of the Greek and Latin traditions respectively. In addition are included works by non-Christian authors of the Greek and Latin Classical tradition, one of the most important being Plato. Surely he has had an immense influence on the development of Christianity a fact which needs renewed appreciation. In fact, you could maintain that a proper understanding of Plato leads to a better grasp of Christianity, for he represents in a marvelous way our innate desire to philosophize, literally as to be friends of wisdom. Once that has been learned, the transition to theological reflection is more seamless. The phrase lectio divina, difficult to translate, is the Latin for “sacred reading.” The noun lectio could be translated as a reading which is sacred or better, divine. Ordinarily this practice is confined to the slow perusal of sacred Scripture, both the Old and New Testaments. It is undertaken not with the intention of gaining information but of using the texts as an aide first to contact the living God and secondly, to sustain that contact. Basic to this practice is a union with God in faith which, in turn, is sustained by further reading. 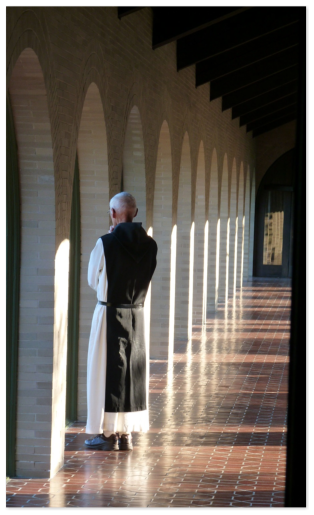 There is no special program or technique to lectio divina. Even more importantly, one must resist the modern temptation of covering a prescribed amount of material within a given time frame. This is more difficult to sustain over time than first meets the eye but certainly well worth the effort. However, the fruits gained from lingering over a single word or phrase for an indefinite period of time is well worth the effort, knowing with full confidence that it will lead to further appreciation of the text at hand. Combine that with the Church's liturgical cycle, and you have literally a never-ending source of inspiration. Such is one of the most attractive features to lectio divina, for it is open-ended and subject to continuous growth. One might expect that instead of the phrase lectio divina, the adjective sacra (the feminine form of sacer) or “sacred reading” would be used. The word “sacred,” whether Latin or Greek, pertains to objects related to the holy such as a church or vessels of the altar used for Mass. Instead, tradition employs the adjective divina or “divine.” Exactly when and how this came about is lost in the mists of time, but that is secondary. It intimates that such reading is divine, not sacred, or more proximate to God himself instead of being an object related to his holiness Furthermore, lectio derives from the verb lego, “to choose, pick.” In sum, lectio divina may be said to be a “divine picking” or choosing of a given sentence, phrase or word through which God himself speaks. While certainly sacred (or sacra), one quickly discovers that lectio appeals directly to the heart of God and does not beat around the bush, so to speak. Lectio traces its origins to early monasticism and currently is enjoying wide acceptance among lay persons. 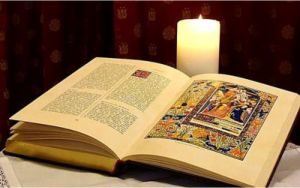 In fact, many people show a spontaneous interest in lectio divina after having been initiated into some form contemplative prayer in line with Christian teaching and tradition. They realize that such prayer cannot continue without verification of their practice, and the best locus for those raised in the Judaeo-Christian heritage is found in both the Old and New Testaments. Prayer enables one to penetrate beyond the letter of text and to see how the Holy Spirit is speaking to us through these inspired words here and now. Not long ago Pope Benedict XVI recognized this and remarked that lectio divina lies at the heart of the Church's renewal. The approach to lectio divina as applied to the Bible in this Home Page is unique in that it relies heavily upon the biblical texts composed in the original Hebrew and Greek languages. Not only that, reference is made to authors of both the Latin and Syriac traditions. Despite frequent references to these original texts, a purely etymological or scholarly approach is avoided. That is to say, they are not presented as bits of information but as the fruit of Christian contemplative prayer which must remain primary to any subsequent reflections. While some readers may find the numerous transliterations of texts and notations upon them presented here as wearisome and somewhat dense, constant appeal to the original texts is of utmost importance. If the reader is patient with them, he or she can allow the text to speak on its own terms minus any personal take on them. Again, it is important to keep in mind not to rush through a given text but linger as long as needed to absorb it. A special note of thanks to Joseph Cece of Little Falls, New Jersey who from the beginning had been instrumental not only in setting up this home page but in offering continued guidance. The site would be literally impossible without him. This website is dedicated to many fine men and women in the country of Iceland who have adopted the practice of lectio divina. Since the middle of the last decade its practice has expanded rapidly after having been introduced some forty-two years ago. Now it is flourishing and is becoming an integral part of the local culture. 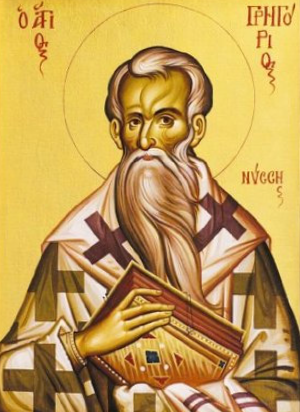 There is available a CD containing many works by St. Gregory of Nyssa, including his Commentary on the Song of Songs. The cost is free though an offering would be appreciated to cover mailing.